I will straight up own the fact that these aren't good photos. From subject matter to perspective to framing, they are pedestrian in every way you can imagine. They are tourist photos. 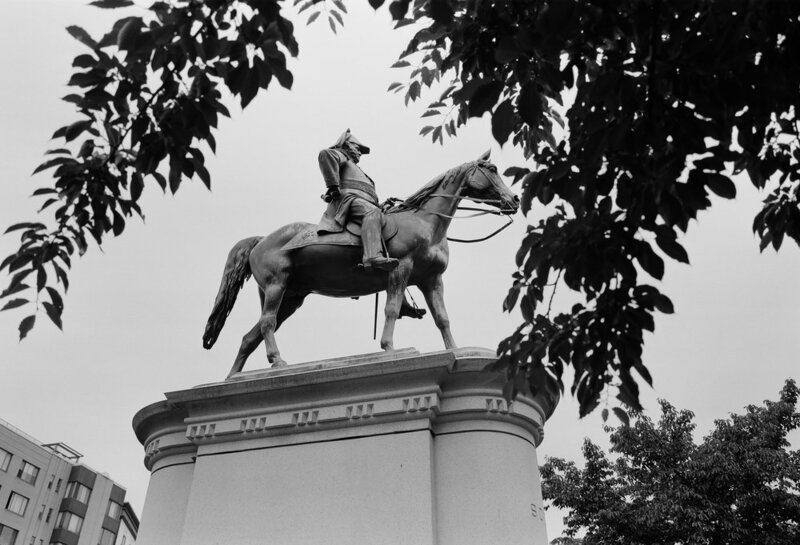 But sometimes it's fun to be tourist, and that's what I was up to the afternoon I took these; biking around D.C. to snap shots—large, 6x9 negatives—of my favorite Civil War monuments in the city. A little known fact about the town is that it is rife with memorials to the generals who actually won the war. They are one of my favorite parts about the District, and on the eve of my move, I wanted to get some on film. I haven't printed any of these, but I wouldn't be opposed to it, if you're interested in a print.